We'll compare the best 3rd-party matchmaking services for you! After playing around on the standard Valve run matchmaking present in CS:GO, the lack of quality matches and extensive amount of players cheating in some form might be enough to drive you from the game as a whole. That is where CS:GO third party matchmaking options become a useful alternative for those players tired of the clutter. Of course there are downsides to moving off of the built in system, but those will be listed alongside the positives. 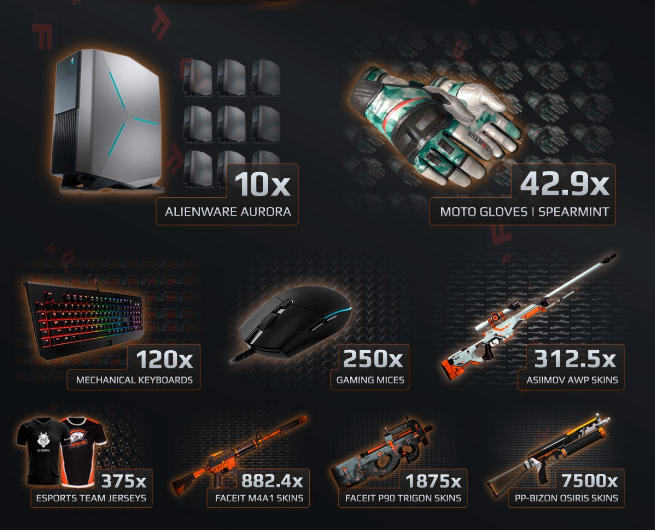 The most commonly referenced and the client with the highest player population among the free options on this list, Faceit is an easy to use client that provides an easy set up with no download required for their service. Once on their site, all you need to do is make an account and link up said account with your Steam id before hopping into matchmaking. They do offer several packages to improve performance via monthly subscriptions, but purchase is not required to use any of their basic features. However, the amount of cheaters, leavers, and AFK players are much more numerous among their free featured services because there is no penalty for them to fear. Upgrading to their subscription plans net players the ability to access their ladder system - which incentivizes players to up their rank in exchange for currency that can be exchanged for various in game and various other items in their shop - such as weapons skins, headsets, and other physical goods. This currency - Faceit Points - are accrued by competing in smaller scale tournaments known as cups or climbing the ladder. If you sign up for the Unlimited tier - around $8 per month - you can compete in as many cups as you want, while the more expensive Premium tier - around $12 per month - will open up Premium cups, which offer a higher payout of Faceit Points. That is where the pluses end though. If you are a player who doesn’t want to pay for the better servers and higher level competition, the free client isn’t going to provide a very significant improvement over the standard Valve matchmaking. The balanced and fast matchmaking is a big plus, but the overall product isn’t much better than what Valve offers. 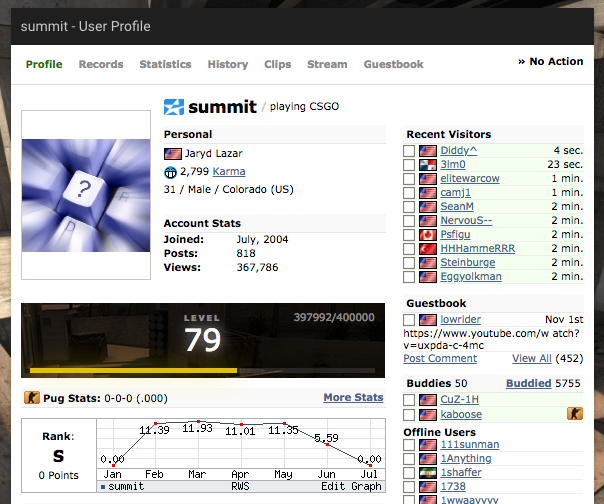 The highest rated and most popular option, ESEA is the top choice for most dedicated players. After simply creating an account and downloading their client, you are ready to begin a better experience in CS:GO matchmaking. For just $7 a month, you get access to all of their servers ESEA provides in one fast and easy to use client. 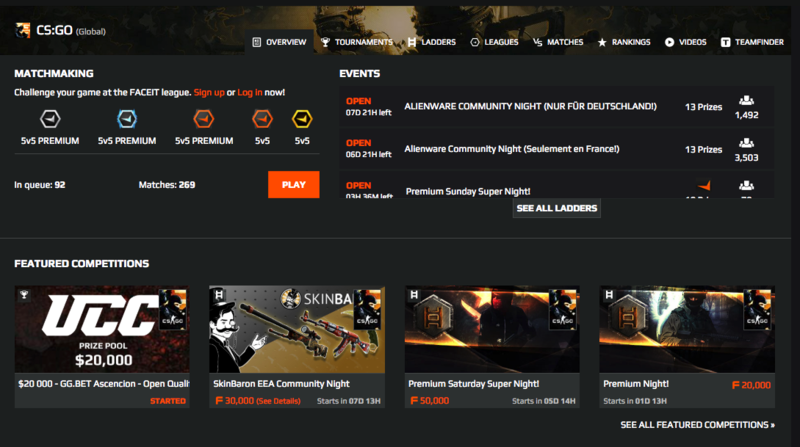 With the standard Premium pass, you get access to their servers, which feature a very highly touted anti-cheat program and leagues which give money prizes. They also offer a more expensive tier called ESEA Insider that costs $14.95 per month. This gives players access to several other features - including a pro player forum and Fragshack private servers. Their client is quick and efficient when it comes to matching you with players, and has a good track record for placing players in matches with people around the same skill level which makes games fair yet challenging. ESEA offers reliable servers, an easy to use client, great anti-cheat prevention, and a lack of leavers and AFK players thanks to the paywall. This is overall the best bang for your buck, and likely the option that will net you the most high quality experience. A less conventional pick that fits between the previous two clients, CEVO requires and account and download for free access to their PUG services. Though, like ESEA, you can also pay $4.99 for a premium service that gives players access to more features. 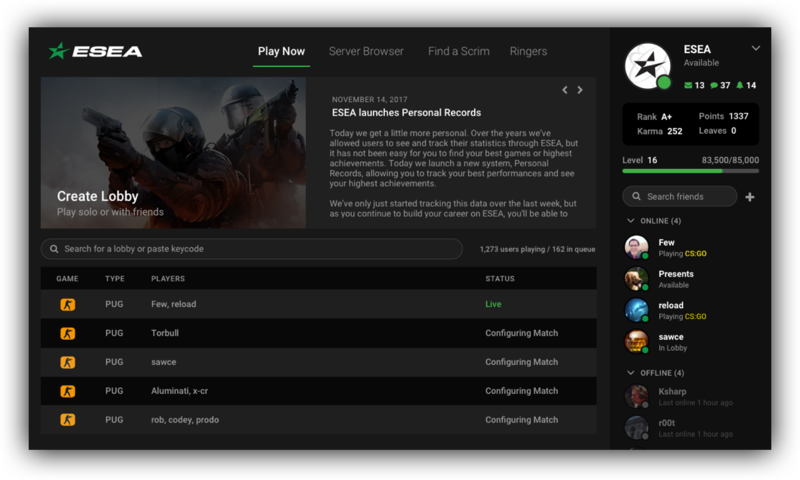 Premium allows access to premium servers, unlimited access to their scrim service, detailed statistics, and several in-game perks like votes for maps counting twice. All of these features help make their servers feel very welcoming and non-toxic. Though outside of that, their matchmaking tends to take much longer than the other options and because it is not required to pay for the service, cheaters, leavers, and AFK players are more common because they can come and go as they please. CEVO provides a nice opportunity for players to improve their game with the help of their in-depth stats for premium members, but that doesn’t help their overall mediocre matchmaking. Overall, their servers are less laggy and toxic than Faceit, but between CEVO and ESEA, the choice of where to spend your money should be clear. The best pick overall for NA players would be ESEA, seeing that they provide the best anti-cheat and pure experience that will let you play without thinking you are losing out on something because of other players or server lag. It is also the best option for North American players since their servers are hosted here and it has a high player population. Faceit is the best pick for EU players and seems to be the choice for players who want to free ball it too. Between Faceit and CEVO, trying out both and finding your preference might be the way to go.